This low-carb and low-calorie dish is my happy version of clean eating. Clean eating means consuming more whole foods from natural sources, lean proteins, a variety of vegetables and non-sugary carbohydrates. 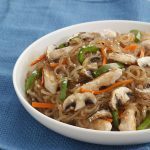 For those of us that love Asian flavors but are wary of the sugar and carb content in typical stir-fried noodle dishes, making your sauces from scratch allows you to control the sweetness. The recipe provided below is a guide but feel free to adjust the flavor as you go along. It is so easy to blend ingredients to make your own sauce and it tastes so much better then msg-filled bottled sauces. Going to the star of this dish, Shirataki noodles are heaven sent! 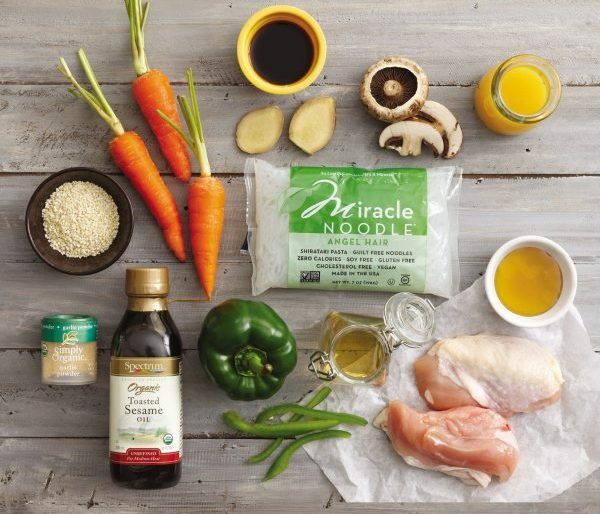 Derived from a type of yam called the Konjac root, Shirataki noodles are often called ‘miracle noodles’ because it is extremely low in calories and has a high soluble fiber content. Each serving is oh just about 0-10 calories! Can you believe that? You do know that high calorie food makes you gain weight right? 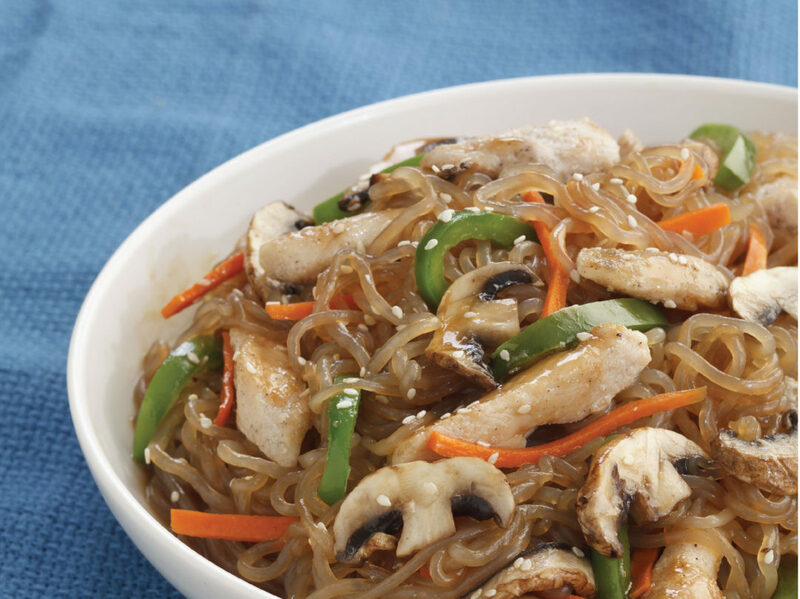 About clean eating, chicken breast is a go-to lean protein for weight watchers and shiitake mushrooms are the perfect addition to complete this healthy Asian noodle dish! So how about that? Kinda like Panda Express but so much better! Not only is this dish better for you, it tastes like something you could eat in front of the TV when you just feel having “Chinese take-out!” My thing about healthy eating is that there’s no point in it if you feel deprived. This is one dish that still feel indulgent! Who cares about how healthy this if what you’re eating is this GOOD! Season the chicken with salt, pepper, garlic and onion powder. Refrigerate. Boil water and cook shirataki noodles according to package instructions. Pour orange juice, rice vinegar, liquid aminos, oyster sauce, honey, garlic and ginger into a small sauce pan. Boil for 5 minutes. In another sauce pan, heat sesame oil on low and sauté onions first then garlic. Add chicken and stir until cooked through. Add carrots, bell pepper then mushrooms and stir-fry for 2-3 minutes only. Add orange ginger sauce and cornstarch while stirring. Add more honey if desired. Toss shirataki noodles in sauce pan. Sprinkle sesame seeds before serving. This dish is so delicious, I guarantee you will be doing this recipe more than once and might even try it with shrimps or scallops.